The property enjoys breathtaking views of the sea and the coast of Africa. 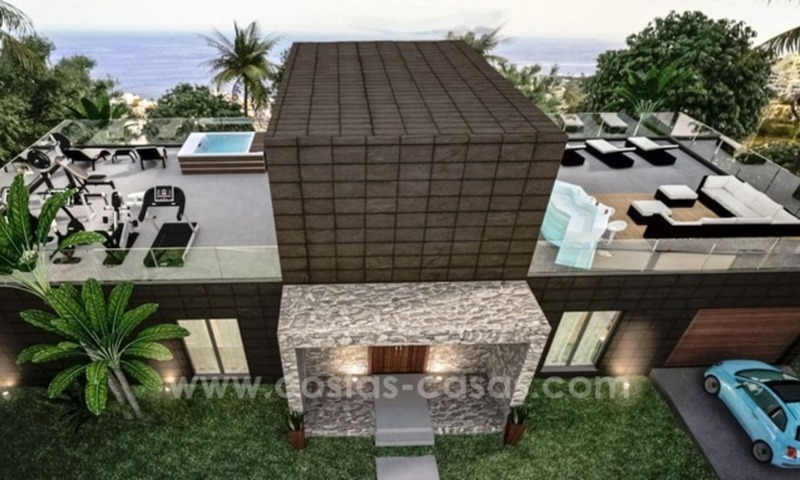 The villa is located in an estate on the foothills of the Sierra Bermeja, the mountain behind Estepona that forms part of the chain of mountains that provides this part of the Costa del Sol with its beloved micro-climate. 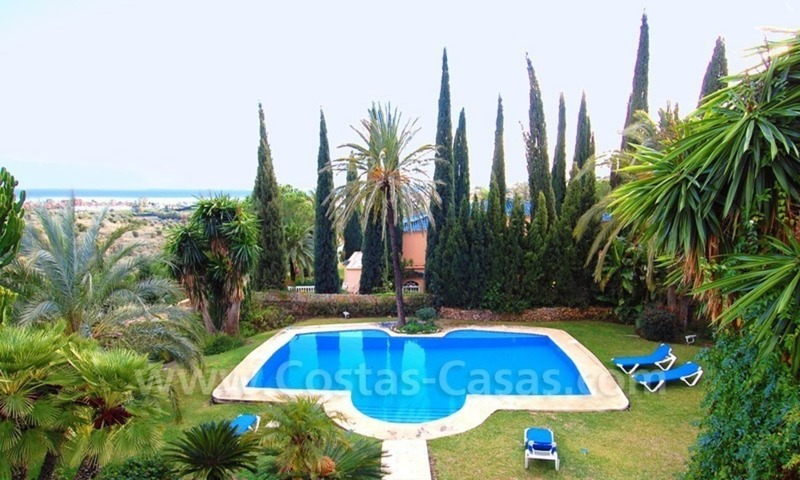 It is only a mile from the beach on the New Golden Mile between the municipalities of Marbella and downtown Estepona. 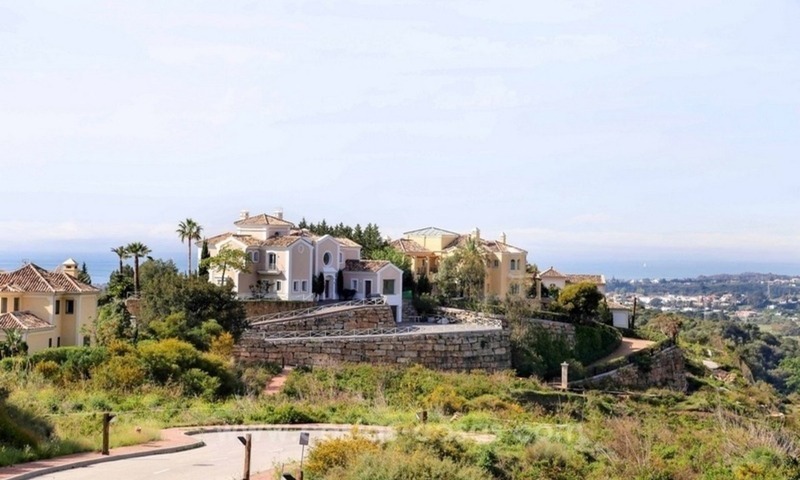 The center of Estepona, San Pedro and Puerto Banus in Marbella are reachable within a 10 minutes drive. Several famous golf courses, beach restaurants, a beach club and other amenities are within a short drive. 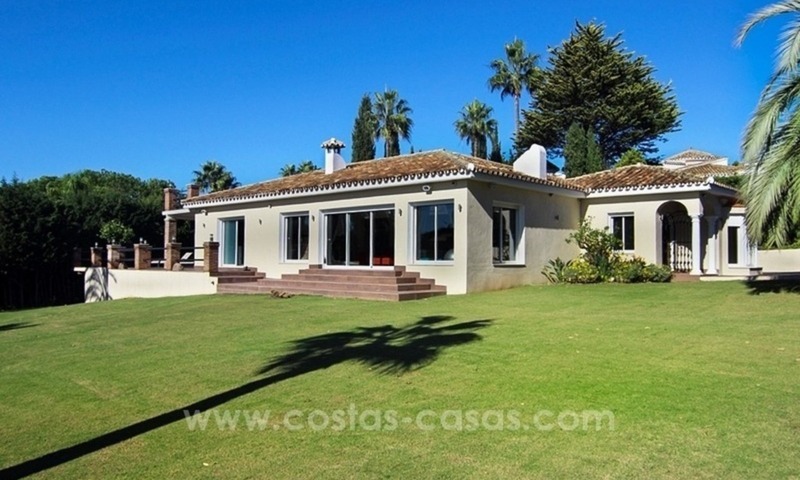 Andalusian Style Golf Villa for Sale in Estepona – Marbella This villa is part of an exceptionally well located complex adjacent to a renowned golf course in Estepona, Marbella West. The complex boasts round the clock security. From the spacious, southwest facing porch you may enjoy the best hours of sunshine. The well-maintained private gardens and swimming pool are set in a level plot measuring almost 3,000 m2 where you may relish peace and tranquillity. A cosy patio and green area welcomes visitors this private villa.